Mourners visit freshly-dug graves on the outskirts of Kabul after two explosions targeted a demonstration, killing at least 80 people. A young girl sells fuel in Kabul. She became an IDP when she fled with her family to Kabul. Early morning travelers wait for their bus to leave for Nimroz province to the border with Iran and Pakistan. Sharif Udin listens from a tree to a police commander calling out names of new passports. He hopes to travel to Iran. 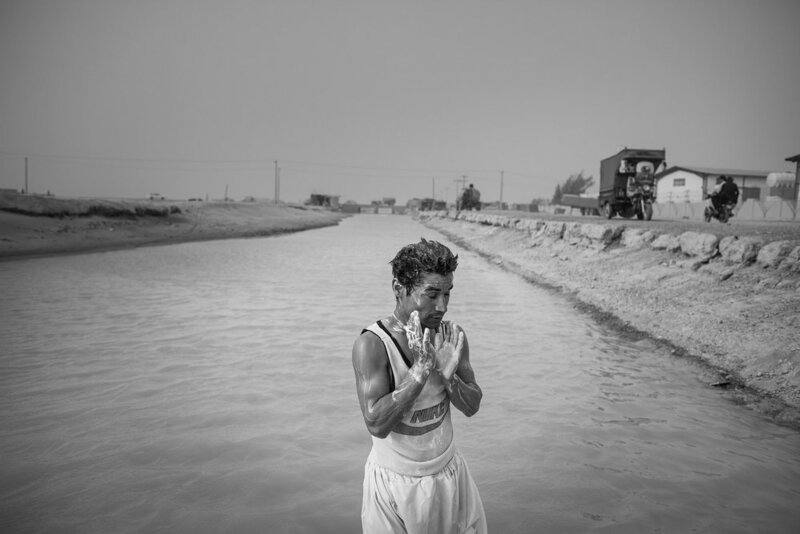 An Afghan man takes a bath in the Lashkari Canal while he’s waiting to be smuggled across the border with Iran, one mile away. Afghans try to cross into Pakistan’s Baluchistan before entering Iran. Gulbadeen was injured by a landmine when he was in a truck trying to cross the border to Pakistan. An audience of mostly Afghans watch a wrestling match in Istanbul. Many Afghan refugees and migrants live here, often waiting for a chance to travel further to the European Union. Sherzai gets a new haircut and shave. He's been here for one year and hopes to eventually make it to Germany or Canada. Safiullah from Kunduz prays while taking a break from working, laying grass on a new viaduct in Istanbul's Zeytinburnu district. A man collects recyclable garbage. This work is mostly done in this area by Afghans. Mortaza swims in the Aegean Sea in the port of Mitilini. He is staying with other Afghan minors in a house in Mitilini waiting for the Greek government to decide on his asylum request. Massoud from Kunduz (white T-shirt) eats his iftar ramadan meal with Pakistanis in a derelict building near Mitilini. Zahir from Ghazni lifts weights in an abandoned meat truck where he lives with a friend. Refugees from Syria and Iraq prepare their iftar meal in a camp on the island Chios. A European volunteer tries to cheer up children at a makeshift refugee camp at a petrol station near the Macedonian border. Afghan refugee Khalid sleeps on the bank of a road next to a petrol station and Hotel Hara, close to the Macedonian border. Afghans sleep while a Pakistani man prays in a makeshift mosque in a derelict factory near the port of Patras. An Afghan man climbs over the fence of the port in Patras, hoping to find a lorry to hide in and travel to Italy. Afghan and Pakistani men sit next to a wood fire in a derelict warehouse behind the central train station. Afghan men try with force to wash "Comando", from Afghanistan's Nangarhar province. An 8-Year old Afghan boy from Nangarhar eats a meal that volunteers hand out once a day. An Afghan man feeds pigeons while Afghans and Pakistanis line up for food handouts. Afghan men sleep in an unheated warehouse in sub-zero temperatures behind the central train station. Islam from Afghanistan shaves outside a derelict warehouse behind the station. An Afghan man carries an old railway sleeper to make a fire inside a derelict warehouse. A group of Afghan and Pakistani try to cross the border with the European Union at night. An Afghan rides a bicycle on the main road of the makeshift refugee camp know as "The Jungle". Imran Khan, an 8-year-old refugee from Kunduz, Afghanistan plays pool in a makeshift leisure hall for refugees under 18. A refugee from Logar makes bread in Calais, where an estimated 8000 refugees and migrants stay. Refugees and migrants, including Afghans, call home using WiFi from a truck provided by an NGO in “The Jungle”. Two Afghans have lunch in a makeshift Afghan restaurant on the main road of the camp. An Afghan refugee walks to the container where he stays in the official part of the Calais refugee camp. An Afghan refugee packs his belongings while a fire destroys his tent in "The Jungle". Afghan refugees are escorted out of "The Jungle" by French police officers on the third and last day of their closing operation. A shepherd walks his flock home in Afghanistan's central Daykundi province, past a billboard by the Australian government trying to dissuade Afghans from traveling there. 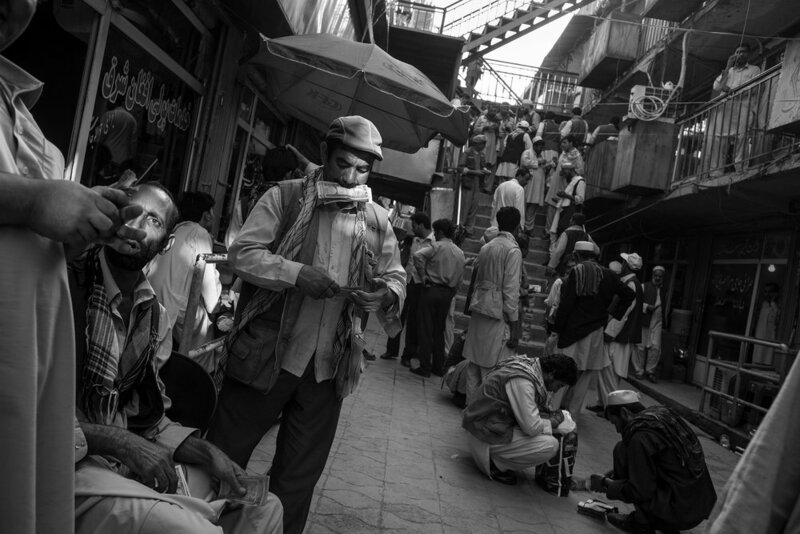 Many brokers at Sarai Shahzada, a currency market in downtown Kabul, are part of a money-transfer system known as hawala, which is often used in the refugee-smuggling business. Asylum seekers from Afghanistan, Iran and Iraq are on a bus back to their safe houses in Jakarta after a failed attempt to leave for Australia by boat. The Indonesian police stopped their convoy. Almost sixty Iranian asylum seekers and one Afghan man from Kunduz make the hard three-day journey from Indonesia to the Australian island of Christmas Island. Morning, the second day of a three day boat journey from Indonesia to Australia. 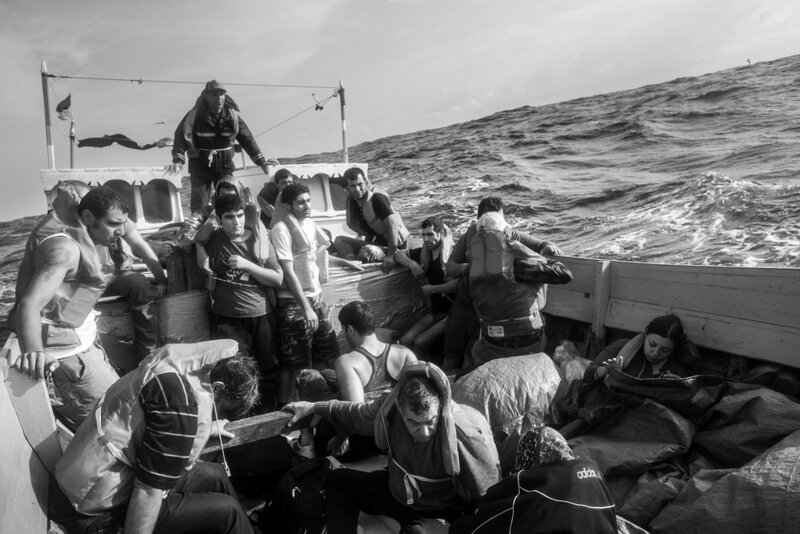 On the deck of a 30-foot long boat carrying asylum seekers. Asylum seekers en route to the Australian territory of Christmas Island. 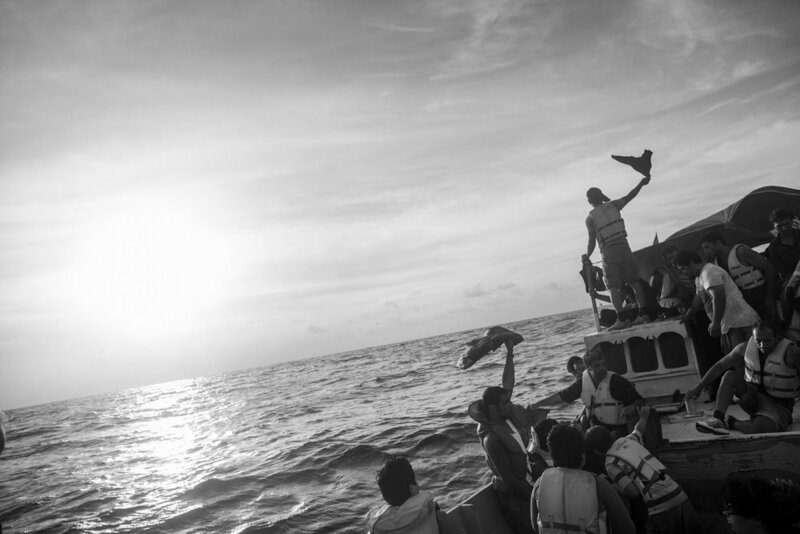 Late afternoon on their third day at sea aboard a 30-foot vessel, asylum seekers signal for the second time today to the Australian Navy. Men celebrate the Afghan New Year by listening and dancing to a performance by Hamayoun Angar, an Afghan singer who came to Europe as a refugee a couple of years ago. Refugees staying in the Tempelhof refugee shelter, a former airport. 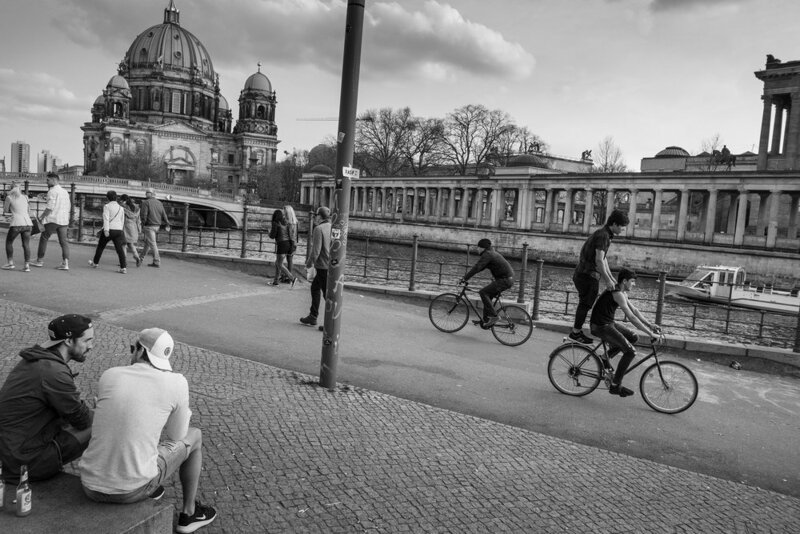 Afghan refugee Mortaza stands on the back of a bicycle while a refugee from Badakhshan province rides it near the river Spree in Berlin. Both have been in Germany for over one year and applied for asylum. Masuma walks in Moscow's Gorky Park. After receiving threats for working with foreigners and the election commission in her hometown of Herat, she decided to leave Afghanistan. She's now an engineering PhD student in Moscow. An Afghan man carries goods from storage to shops in the Sevastopol shopping centre in Moscow. Many Afghans work here, and some recently arrived without proper documents. 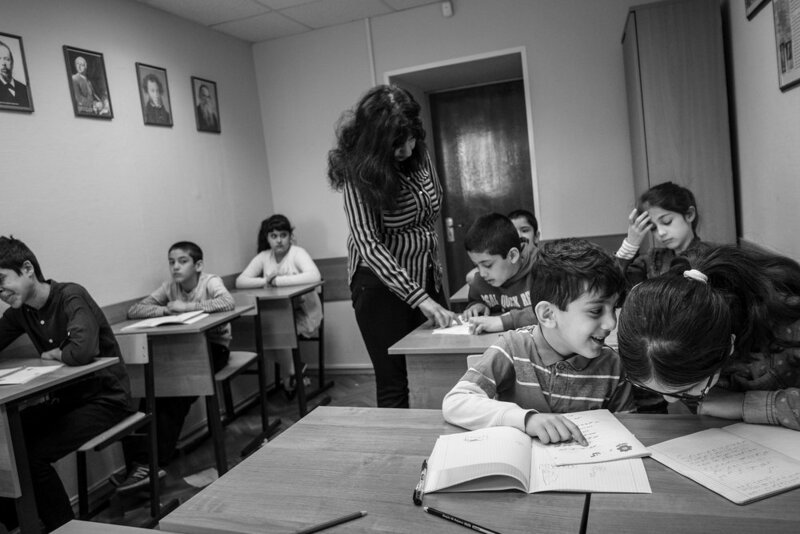 Afghan children receive Dari and Pashto lessons from an NGO in the Sevastopol shopping centre. Teacher Kadria has been in Moscow since 1993. Afghans gather to pray and celebrate Eid-al-Fitr, the end of Ramadan in a party centre. 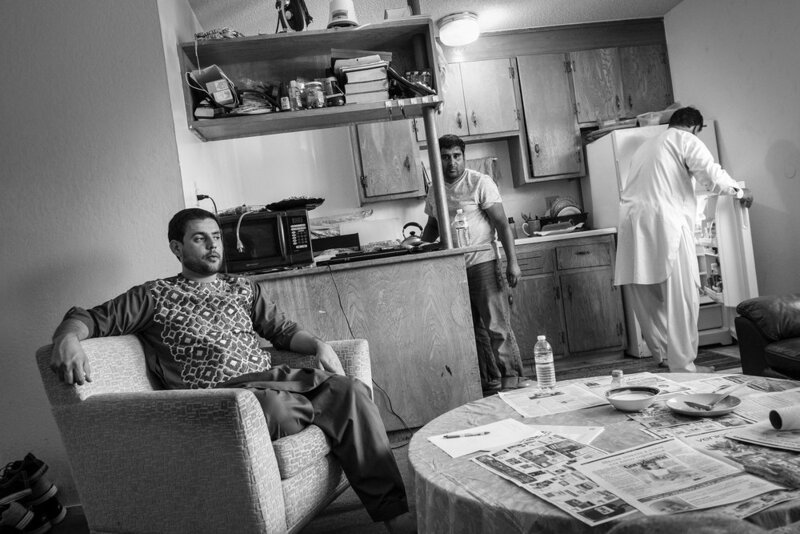 Naimatullah Sultani and two of his friends in his living room in Sacramento on Eid-al-Fitr, the end of Ramadan. He came to the US in November 2013. Nazir from Afghanistan's Baglan province works on a fruit and vegetable stand in northern London. Gurmeet Kaur and her husband Pritpal Singh with their 4-year-old daughter in their house in Southall. They both left their native Kabul during the civil war in the early 1990s. After living in Pakistan for 31 years, a family crosses the Torkham border into their native Afghanistan. 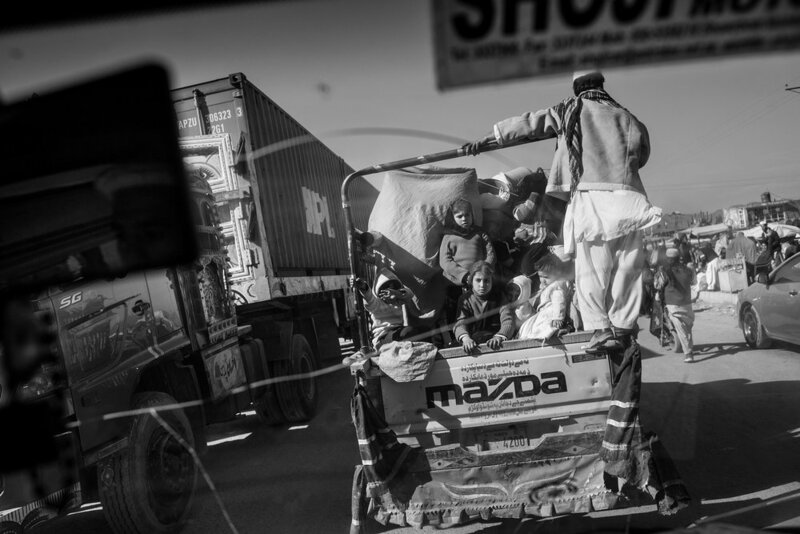 Many Afghan refugees have been forced to return to their home country in recent years. A baby lays in a temporary home on the outskirts of Kabul. The baby’s family fled the violence of Islamic State in Nangarhar province. After two years Farshid is back in Afghanistan after his asylum claim in The Netherlands was rejected.